In 1973, Slade were the biggest band in the UK. 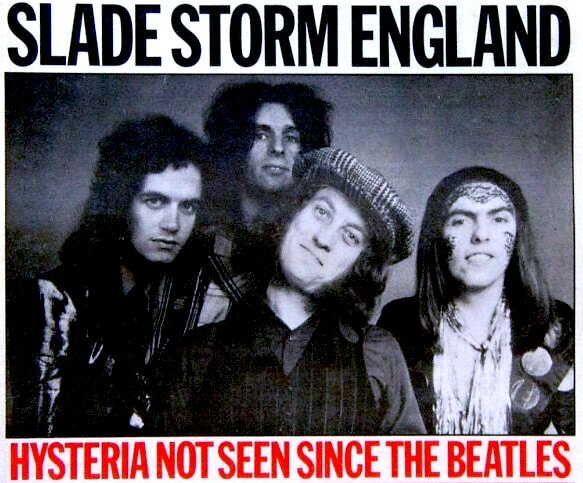 There may have been hipper bands, cooler bands and more experimental bands, but no band was as popular as Slade either in the singles chart or in the concert halls. 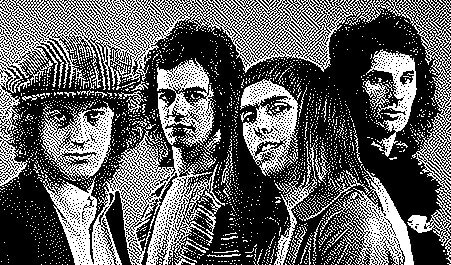 Slade’s “ordinary bloke” work ethic left them with little time to sit back on their laurels or lounge 'round by the pool — as if there were any pools in Wolverhampton, England where the band grew up and continued to live throughout their stardom. By September 1973, Slayed? had been out for ten months — a considerable length of time in the pop world. Heavy touring commitments and serious injuries sustained in a car crash by drummer Don Powell in July, meant that plans for a new album had to be postponed. The crash left Powell with a dead fiancé and Slade with a drummer suffering from acute memory loss. So what do you do when you have a slew of No. 1 hit singles, three top-selling LP’s, sold-out performances up and down the country, a grieving drummer with amnesia, and a record company demanding new material even though there’s no time to write and record? Sounds like the perfect time to cobble together a “greatest hits package” that compiles non-album hit singles and b-sides along with the best material from earlier studio recordings — the kind of compilation that satisfies fans and intrigues those who have yet to become one. I eagerly purchased Sladest as soon as it was released. I wore out the vinyl with repeated listens, replaced it, wore it out again, and then was thrilled to replace it for a third (and probably final) time when my brother Joe sent me a digitally re-mastered CD for my birthday last week. “Slade, digitally re-mastered?” I can hear you say incredulously. Why yes, all the better to hear those rabble-rousing boot stomps, hand claps, power chords and howling vocals. Like many of the band’s singles, Sladest went straight to No. 1 in the British charts and stayed there, amongst the top ten albums, for over a year. Despite the album’s chart-topping success in the UK, it didn’t even make it into the top 100 on the US charts where the band was deemed “too British” for American musical tastes. Go figure. Sladest really poses a difficult choice for today’s weekend-priming Song of the Day. Nearly every song on this 18-track collection will sufficiently jump-start a Friday, but I’m choosing “Skweeze Me, Pleeze Me,” the band’s fifth No.1 hit single in the UK and their second to debut at the top spot upon release. It is a rollicking, brilliantly inane brawl room tune that, like the best rock n’ roll song, has absolutely nothing to do with political correctness or intellectual stimulation, and everything to do with having a raving good time on a Friday night… or any night for that matter, nod-nod-wink-wink-say-no-more. The sladest Happy Medium Song of the Day in this ongoing tribute to one of my all-time favorite rock n’ roll bands is “Skweeze Me, Please Me” by Slade.